I believe Internet is the biggest source for learning anything these days. There are millions of websites offering great tutorials and training based on individual’s interest. 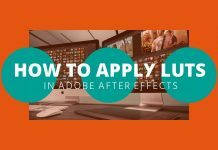 The biggest and the most important question that comes to a person’s mind willing to learn After Effects is – ‘How can I learn After Effects without spending thousands of dollars on some University courses‘. Well, there is no harm in joining a Vfx school but before that, consider this question – ‘Do you really need a Vfx school to learn After Effects‘. According to me, there are plently of amazing websites that offers Online After Effects Tutorials. Some offers free tutorials and others are paid. 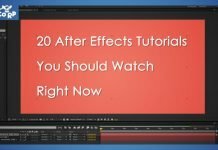 The quality and quantity of tutorials offered by some of these paid websites are enough for you to learn the basics and advance techniques of After Effects. 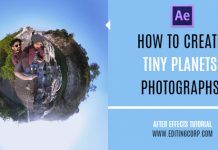 Since After Effects is all about experimentation, once you know the basics, let your imagination flow, experiment with the software and you will be able to create amazing Visual Effects. Remember that tutorials will only take you part of the way and to truly master After Effects you must develop your own unique style. Video Copilot – Video Copilot is a collaborative resource for training, design tools and artists whose goal is to show you what is possible and how effects can be created so that you can apply these techniques on your own creative adventures. 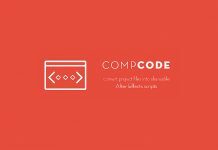 Video Copilot also offers an After Effects Basic Training program for those who have just started with the software. Lynda.com – With Lynda.com After Effects tutorials, learn to design motion graphics and create animations, ranging from beginner to advanced. These courses demonstrate how to composite video and create special effects. Even how to use After Effects to design lower third graphics. Digital Tutors – Start learning with professional After Effects tutorials that have helped thousands of artists and designers like you get their first job. Creative Cow – Creative Cow is a community of Visual Effects artists around the globe. There are plenty of After Effects tutorials on Creative cow created by professional artists. Adobe Official Help Center – Adobe has a dedicated Online help center for After Effects featuring number of After Effects tutorials and guides for beginners. Tuts+ – This is a paid tutorial website offering great After Effects Tutorials. You can signup for a yearly subscription for just $45 and start learning After Effects. Motionworks – Motionworks is another website in our Online After Effects Tutorials list where you can find Tutorial and Training Videos on After Effects. Designer Today – This website offers After Effects tutorials in written format with related screenshots. 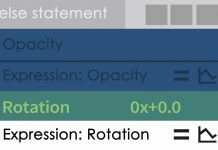 You can consider this website if you do not wish to buffer video tutorials. Editing Corp. – This is the same website you are checking out this list in. We also offer free After Effects tutorials for beginners. CreativeDojo – The CreativeDojo is a blog and resource hosted by VinhSon Nguyen. 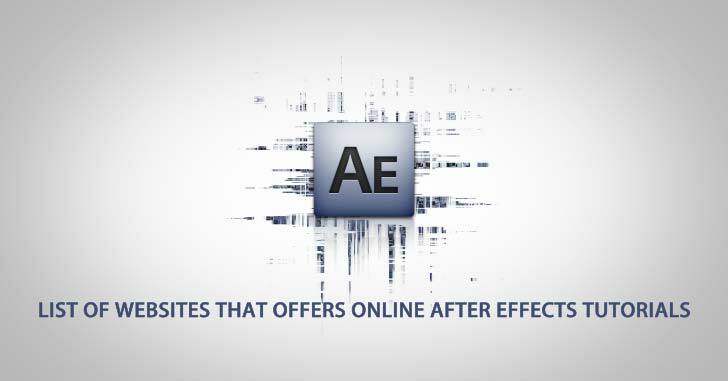 The Dojo provides in-depth training tutorials for After Effects. Digital Arts – Free After Effects Tutorials that can be downloaded easily, consider bookmarking this website. Shalom’s Pinterest Board – This is a Pinterest board by Shalom Ormsby where you can find great tutorials on After Effects. Follow this board and get updated with new Tutorials. Vfx Bro – Free After Effects tutorials those who are willing to learn the software. Vfx Bro tutorials are easy to follow and you can learn a lot from them. CG Arena – CG Arena offers Free After Effects tutorials in video format. You can also send them you own tutorials to get attention in the community. After Effects Tutorials on Vimeo – A channel on Vimeo by Johannes Kaupe offering Free After Effects Tutorials. After Effects Tutorials on YouTube – A YouTube channel by Mikey a.k.a. Long Live Mikey where you will find amazing After Effects Tutorials. New tutorials are added every friday. I’ll keep updating this list as I discover more genuine Websites that offers Online After Effects Tutorials.